tvd cast rolling stone photoshoot. . Wallpaper and background images in the The Vampire Diaries TV tunjuk club tagged: the vampire diaries nina dobrev ian somerhalder. 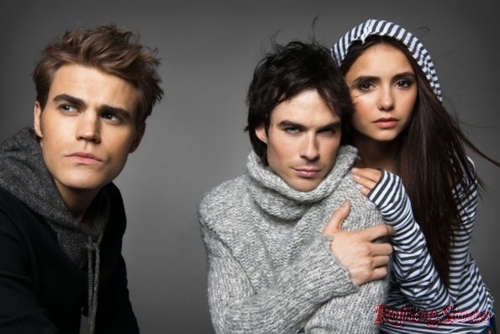 This The Vampire Diaries TV tunjuk photo might contain potret, headshot, closeup, and headshot closeup. WHY IS THIS CAST SO ATTRACTIVE!!!!!???? I'll join the club: NIAN!!!!!!!!!!!!!!!! !